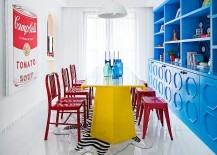 Bored with the mundane? 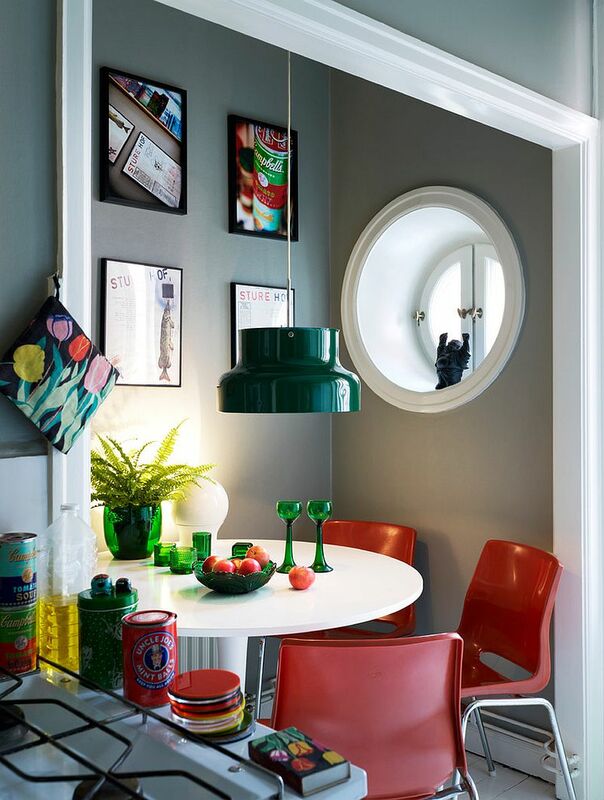 Not everyone out there is happy with a dining room in gray, a matching dining table set, simple lighting and a decorative piece or two. 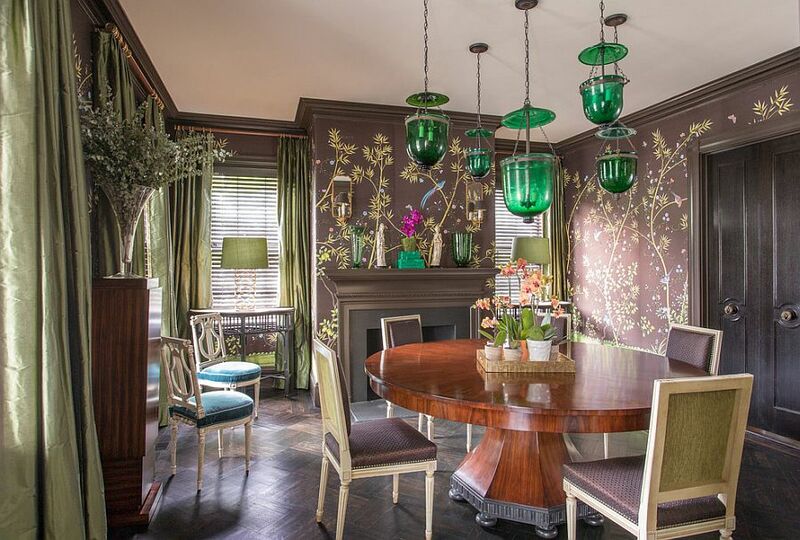 If your home is all about reflecting your personality, then it is safe to say that the formal, neutral dining room fails more often than not. 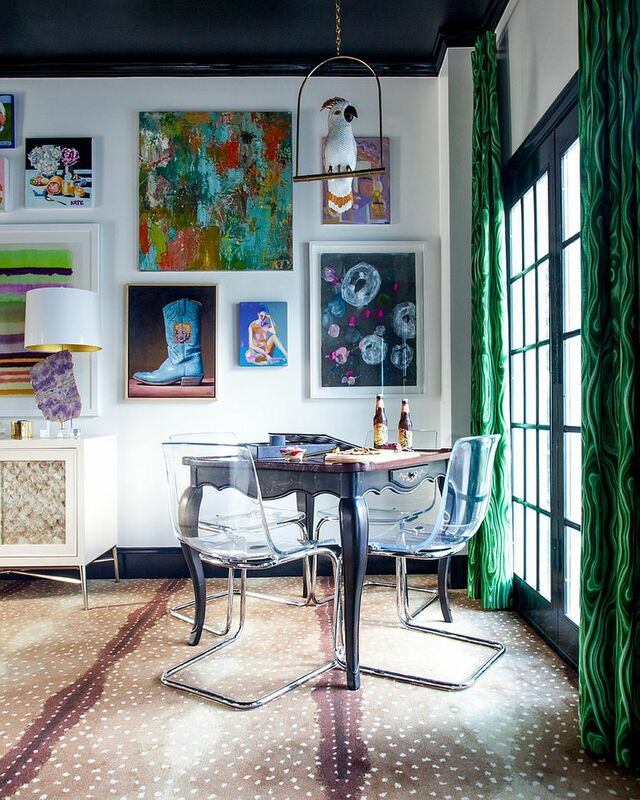 This is precisely where eclectic style and its unique allure come in! 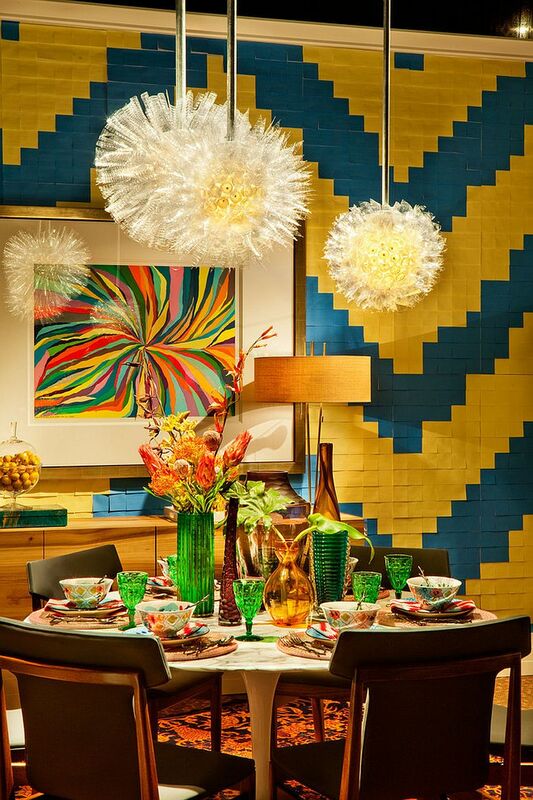 Allowing you to mix and match diverse décor pieces and to blend contrasting styles, eclectic is definitely taking over from the uninspired contemporary monotones in the dining room. 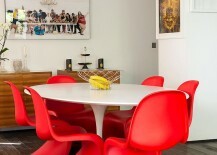 A Flamboyant Lineup of Chairs! 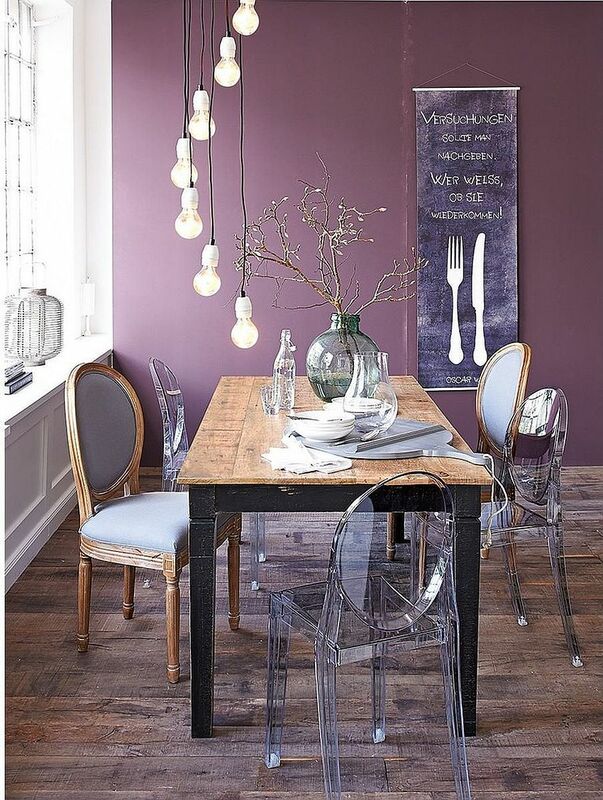 Take this bright idea a step further in 2016 with dining table chairs in multiple colors! 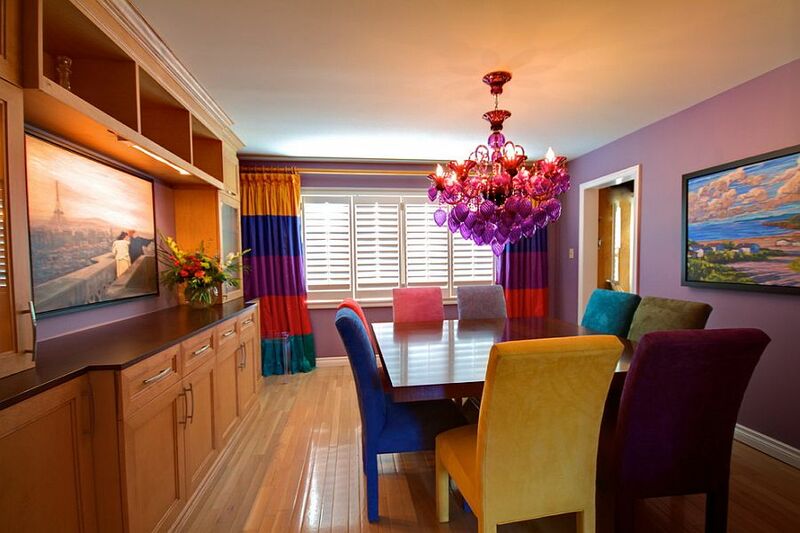 When done right, this can create a dining room that is full of color while still keeping it elegant and inviting. 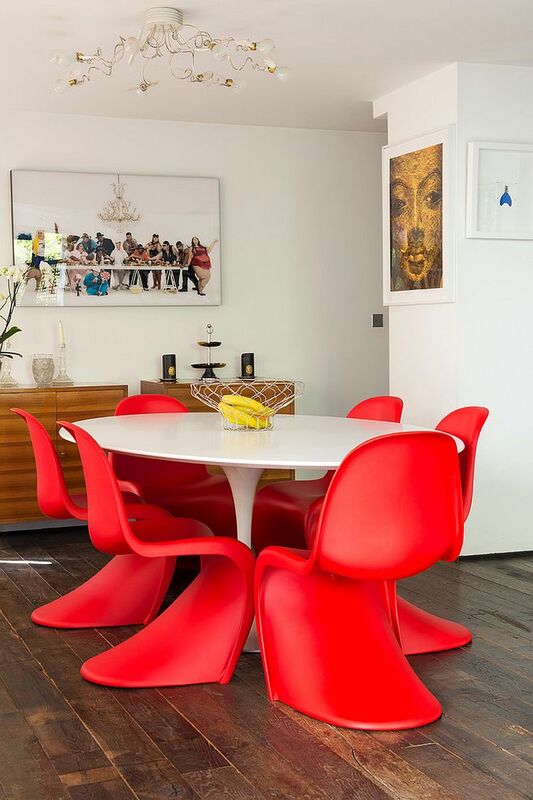 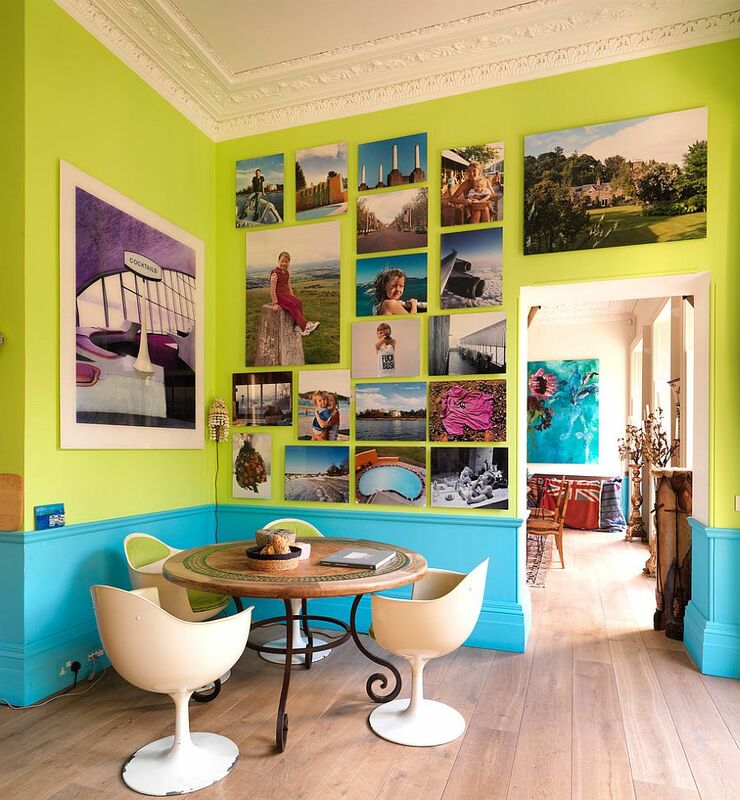 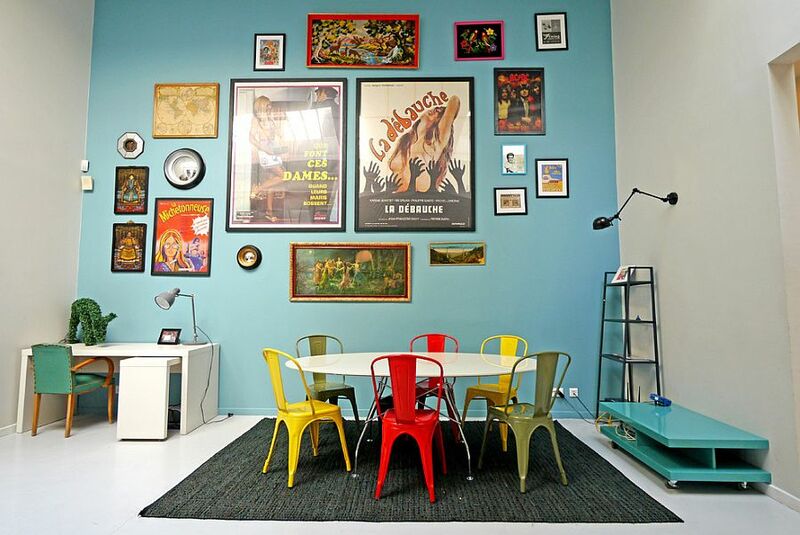 From iconic midcentury masterpieces like the Eames Plastic Chair and Panton S chair to fun vintage finds, take a trip down the route that fits your personal style and budget best. 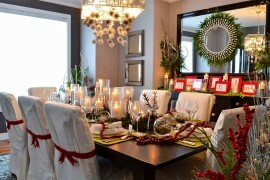 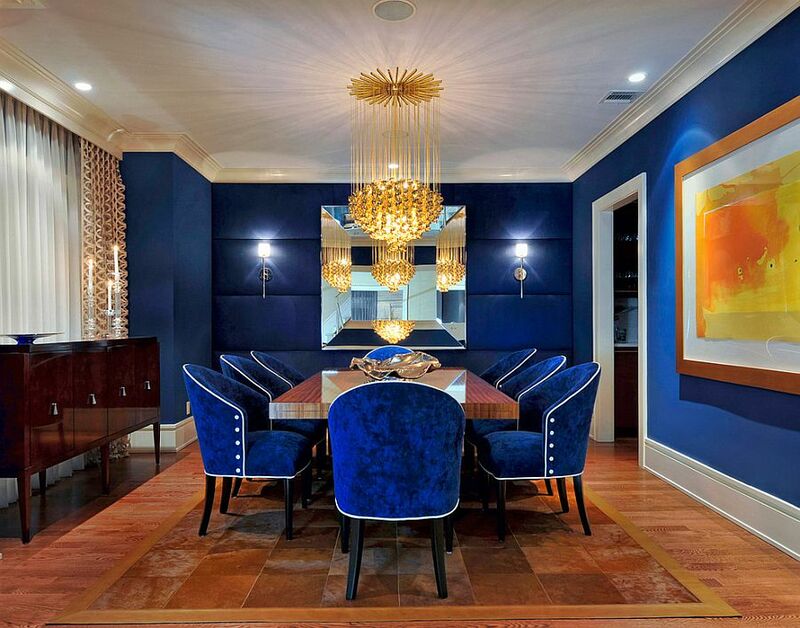 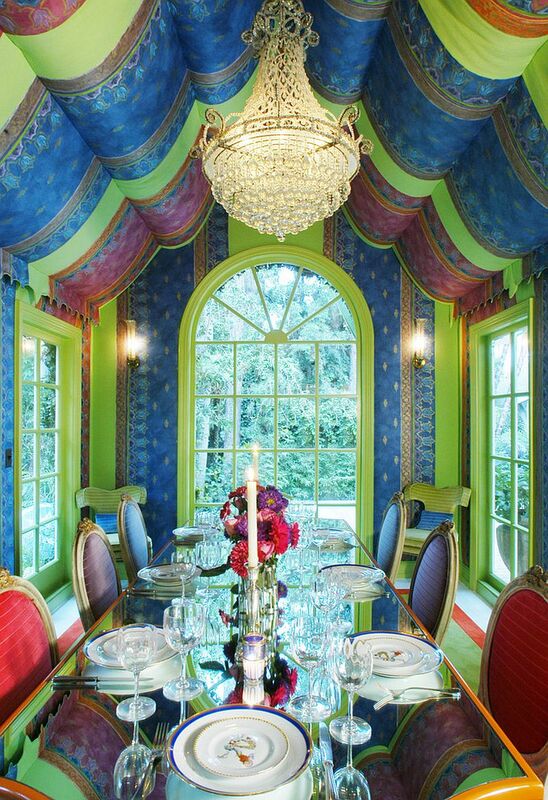 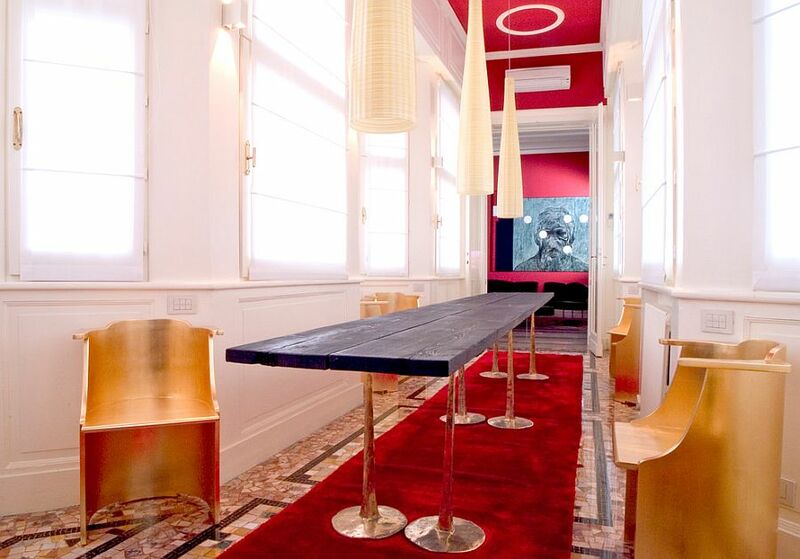 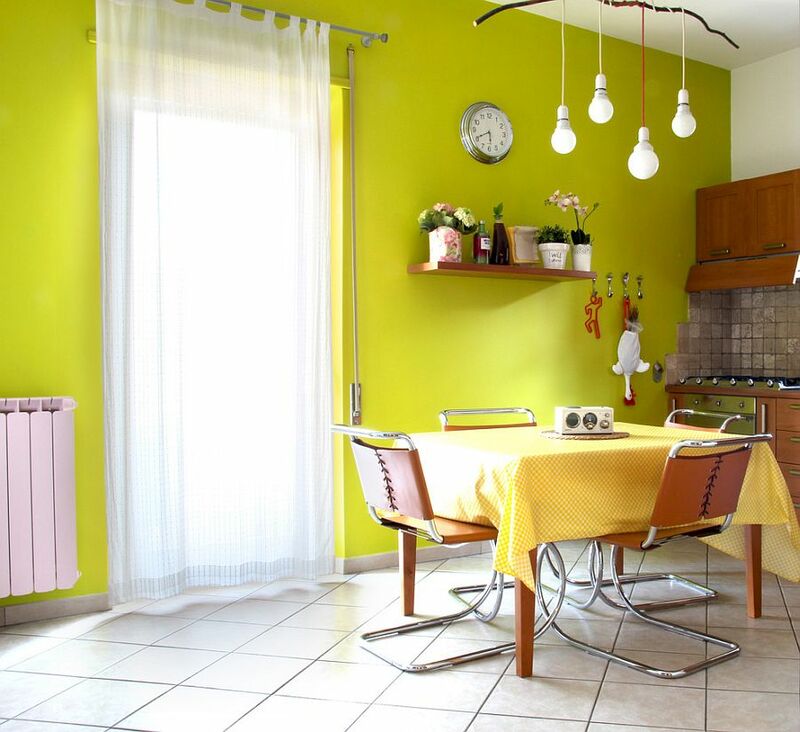 Admittedly, using multiple colors in the same dining room is not a strategy for everyone. 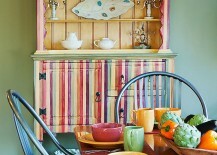 It takes plenty of care and the right balance between different hues and shades to get it right. 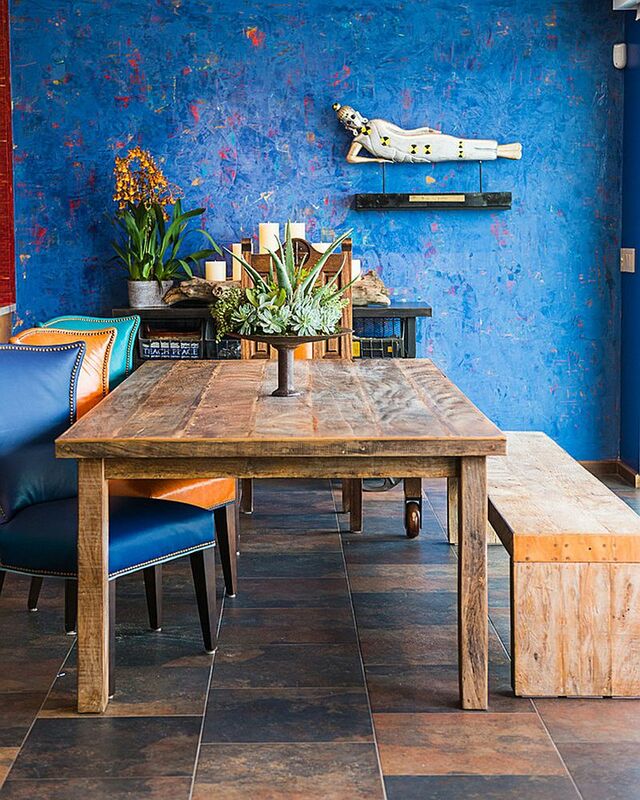 But an eclectic style allows you to work with contrasting, bright colors while combining them effortlessly with a common element. 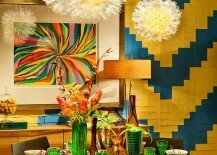 The element that links these varied styles and colors could be texture, shape, or even a lovely and unique theme. 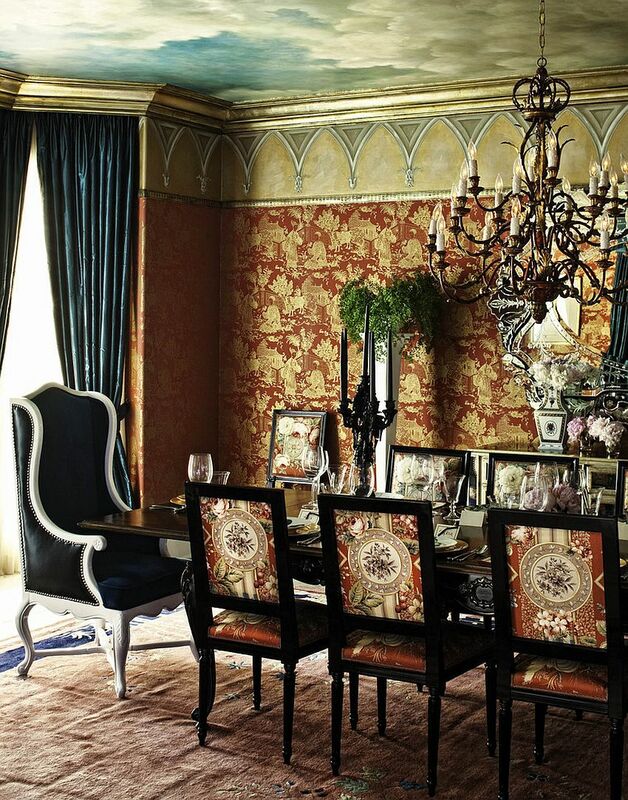 From Hollywood Regency to shabby chic, this approach works for a wide range of styles. 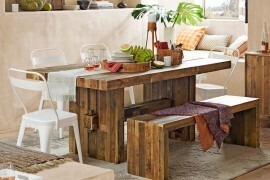 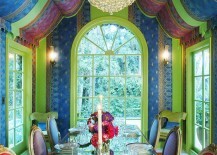 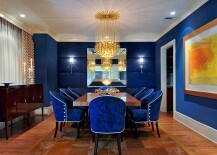 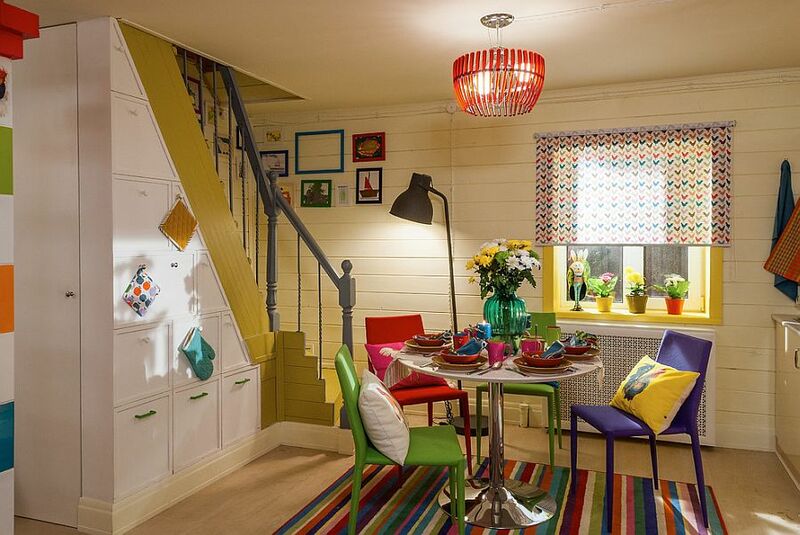 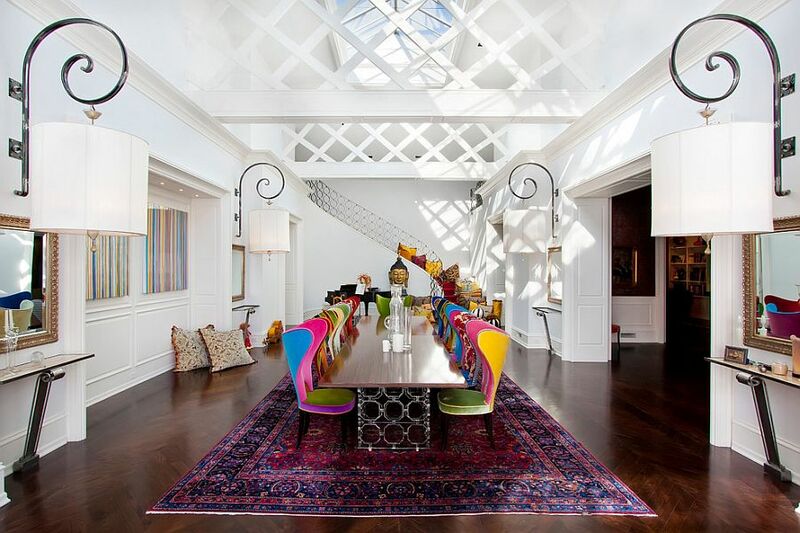 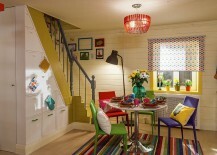 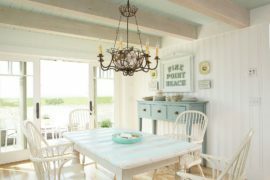 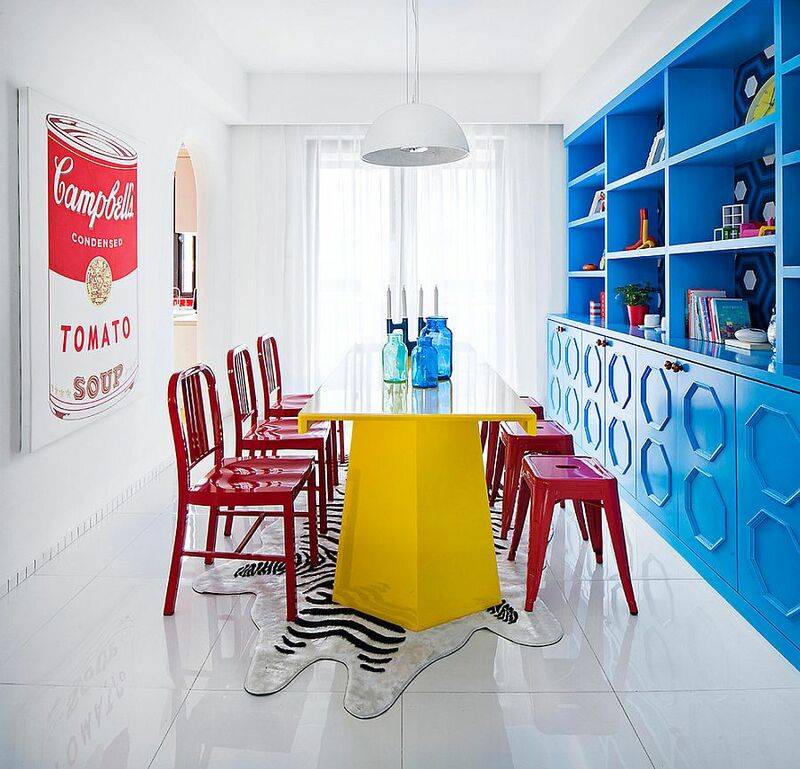 A colorful dining room can also be crafted using just one color and two or three different tones of the same hue. 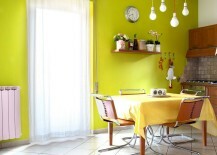 This gives the room a more monochromatic look, but there is still no shortage of brightness or excitement. 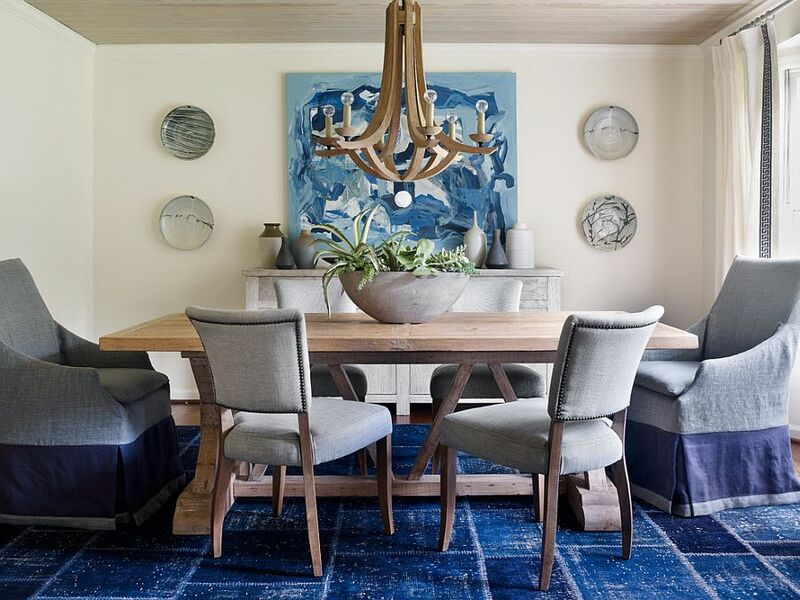 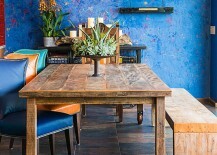 Shades of blue and purple are a popular choice in most eclectic dining rooms, as they are far more appealing than bright red hues and more vibrant than yellow or green. 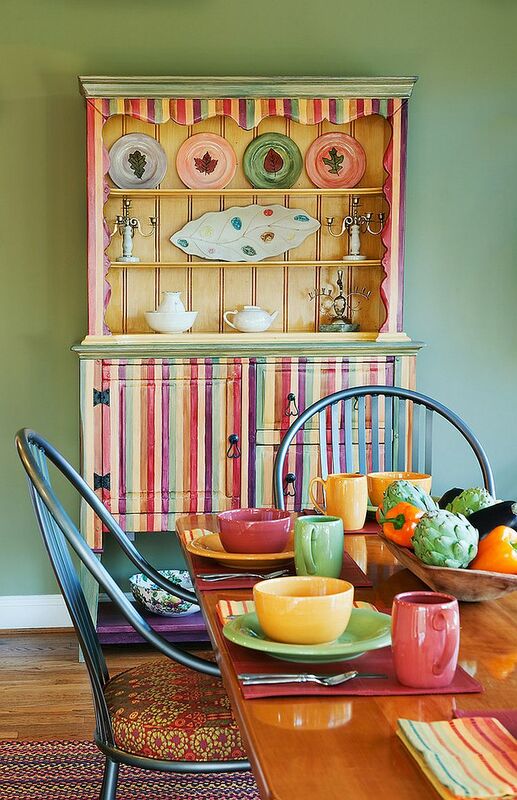 But you are free to improvise and choose a color that you fancy the most and bring in contrast with features like a textured wall, live-edge dining table or sculptural 3D wall art. 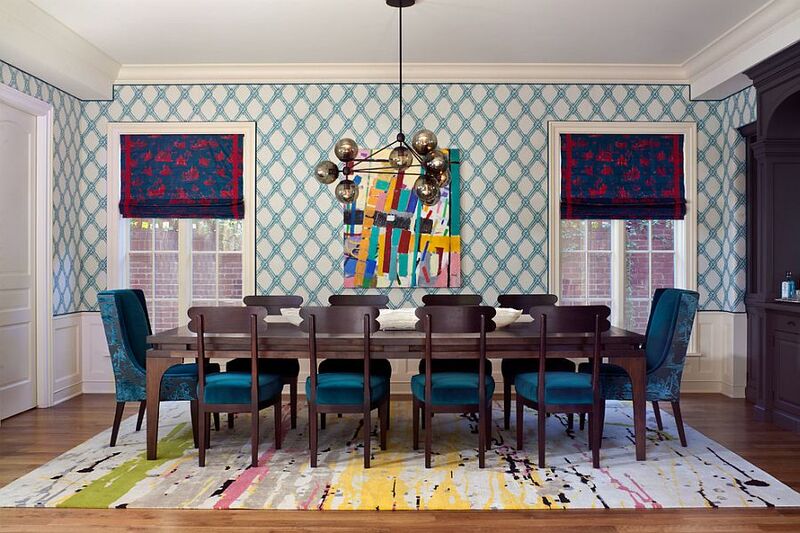 Wallpaper definitely provides one of the easiest and most fun ways to add not just color but also pattern to the dining room. 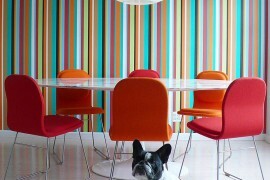 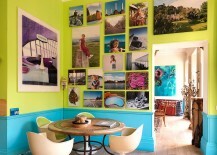 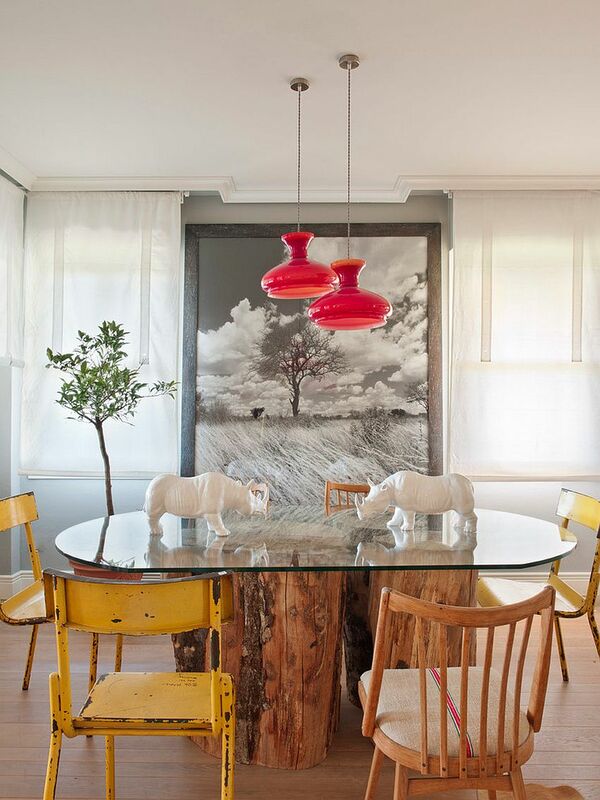 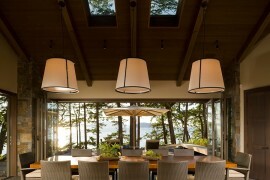 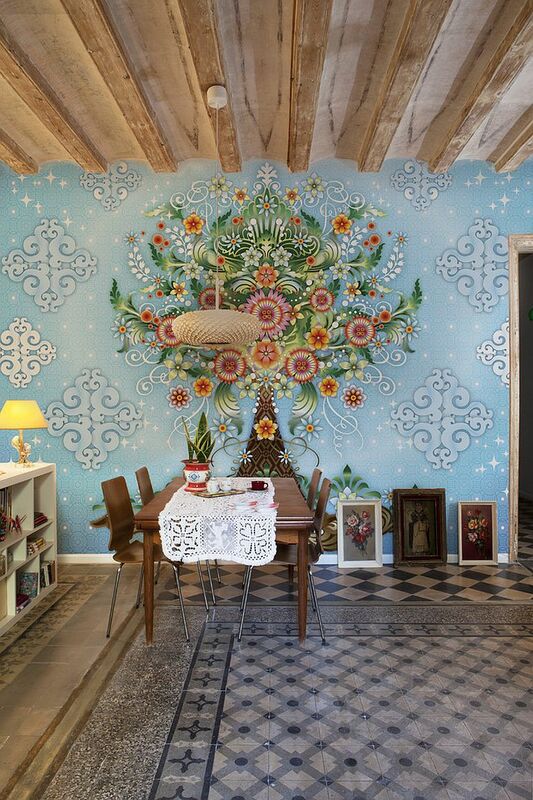 Wall decals and custom graffiti take this a step further and give the dining room something exceptional and inimitable. 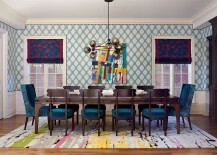 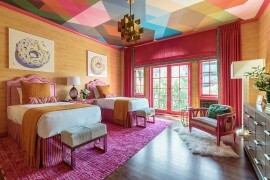 Colorful drapes and vivacious rugs can also create a colorful setting without forcing you to commit to a major overhaul. 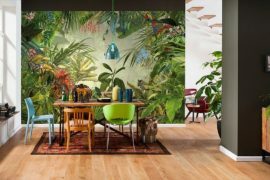 A bold backdrop like this lets you stick to that formal, matching dining table set, making the makeover a lot more budget-friendly.